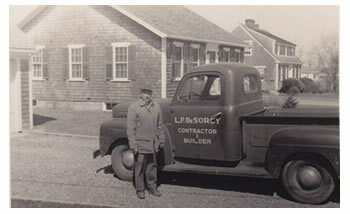 Since its founding in 1929, DeSorcy Contracting Co., Inc. has constructed and remodeled hundreds of homes and commercial structures on the island of Martha’s Vineyard, MA. 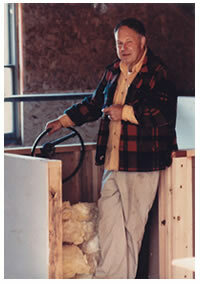 DeSorcy remains a third-generation family-owned business. DeSorcy has earned its reputation as the premiere builder of quality custom homes on Martha’s Vineyard not only because of its construction expertise, but also because of the high level of customer satisfaction experienced by its clients. DeSorcy’s reputation for excellence is attributed to its innovative building methods, engineering know-how, quality construction, attention to detail, and old-fashioned craftsmanship. This unique combination ensures remarkable results. Our full-service abilities encompass all general contracting aspects allowing us to deliver your project on time and on budget. We work with our clients from concept to completion. Current president Leo DeSorcy is on-site daily, working along-side his talented team of employees and subcontractors to ensure that every aspect of your project is completed with precision and perfection…the first time. You will never bump into Leo on the golf course during work hours.